River on the Rooftop Continues! 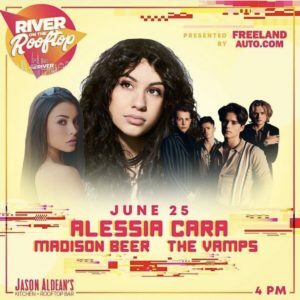 Join us for River on the Rooftop later today with Alessia Cara, Madison Beer & The Vamps! © 2018-2019 Jason Aldean's. All Rights Reserved.